Bhubaneswar, Feb 13: Union Minister for Consumer Affairs Ram Vilas Paswan on Friday accused the Odisha government of misleading people on subsidised rice given to the poor under the National Food Security Act (NFSA). The state government’s claim of providing subsidised rice at Re.1 per kg was not based on facts and it was misleading, the minister told the media here. “I have been informed the government claims it is giving 100 percent subsidy under the scheme. But the fact remains that on each kg of rice at Rs.30, the Centre gives a subsidy of Rs.27 while the state government gives only Rs.2. The consumer thus gets rice at only Re.1 per kg,” he said. He said it was Odisha government’s duty to act on several complaints regarding alleged irregularities in the distribution of ration cards under the NFSA. “Several complaints are coming in that the poor are deprived of their rights under the subsidised rice scheme. The Centre can only provide the guidelines to the state and allocate food grain to the people. 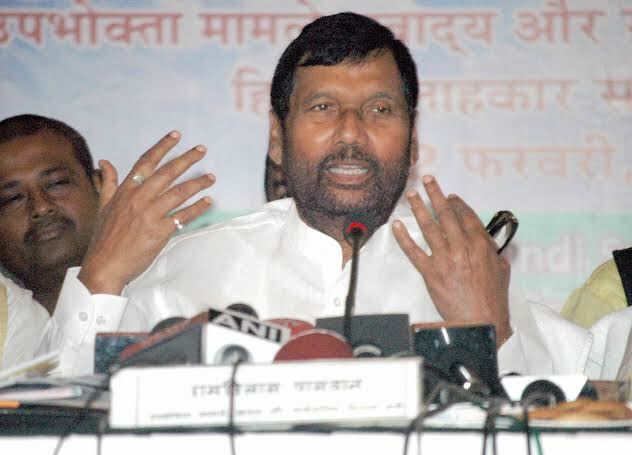 It is the state government’s job to identify the beneficiaries,” Paswan said. Meanwhile, the Odisha unit of the Bharatiya Janata Party submitted a memorandum to Paswan, accusing the state government of only enlisting ruling Biju Janata Dal leaders as beneficiaries while the poor were denied benefits under the food scheme.